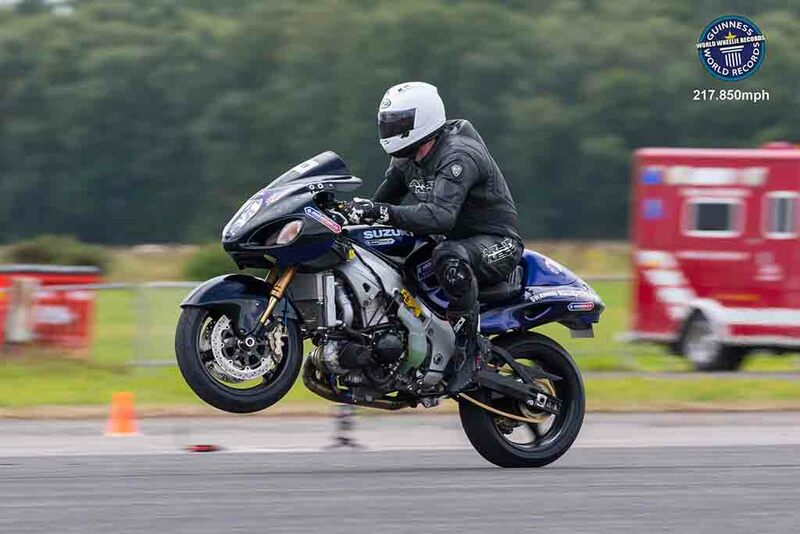 Ted Brady from Ireland sets a new Guinness world record of fastest wheelie at 350.59 kmph with his Suzuki Hayabusa at the Motorcycle Wheelie World Championship at Elvington Airfield, North Yorkshire. Ted has been a speed wheelie competitor for the last 12 years and he set this new speed wheelie record on his second run by breaking Dutch rider Egbert Van Popta’s 2016 record of 343.27 kmph. 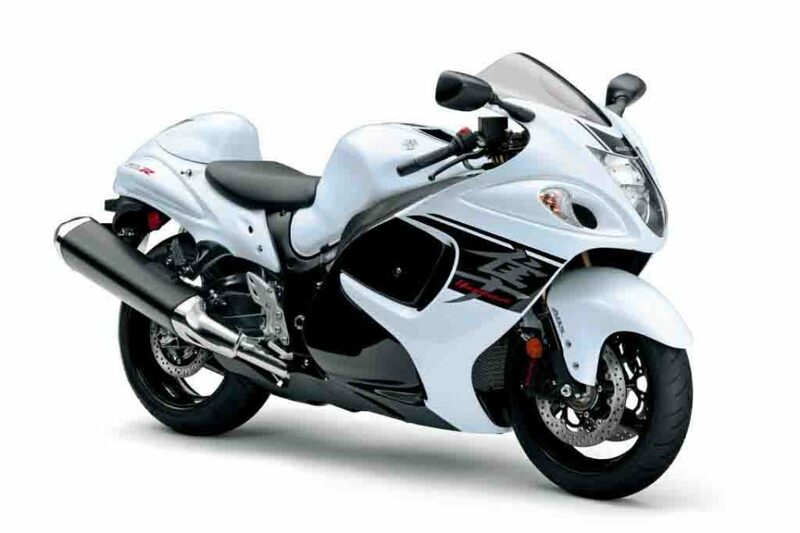 The modified Suzuki Hayabusa is capable of producing an insane 540 hp of peak power and it has been modified by Jack Frost of Holeshot Racing. The rule of the Motorcycle Wheelie World Championship was that the rider has to complete a full kilometre run on the back wheel and the rider with fastest exit speed would be the winner. The event saw several riders attempting to create a record of fast wheelie, but Ted Brady emerged winner among all. Wheelies with motorcycles are surely fun to perform, but a more than 350 kmph speed wheelie is something demands extreme caution and skill from the rider. In recent times, several other riders have also set new wheelie records. Dougie Lampkin performed wheelie on the entire length of Isle of Man TT circuit with a modified trial bike. Few months back, Japanese rider Masaru Abe set the longest wheelie record with his Yamaha Jog when he rode a stunning 500.5322 kilometre for more than 13 hours. Despite having severe back pain just after two hours into the performance, he continued to perform the over 500 km wheelie. Now, speculation is on rise which is going to be the next mono wheelie record. 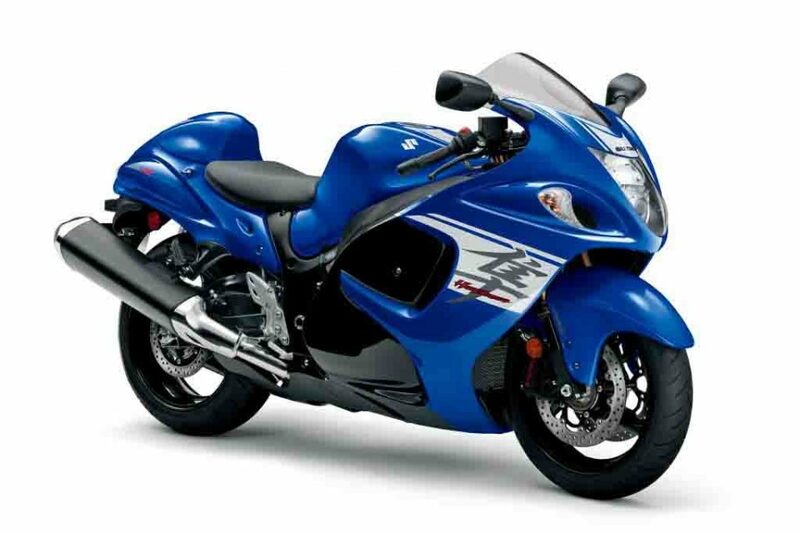 Expect couple of new records to be made at the Classic Bike Live Event scheduled 28th – 29th October. Guest of honor at the event will be Isle of Man TT champion John McGuiness and famous chassis designer Colin Seeley.